As I type this, the anthology is sitting at #1 on Amazon. Let’s see how long we can make that last, so cool. And my story Apparition Adventures, a lesbian ghost hunting team is in this anthology! 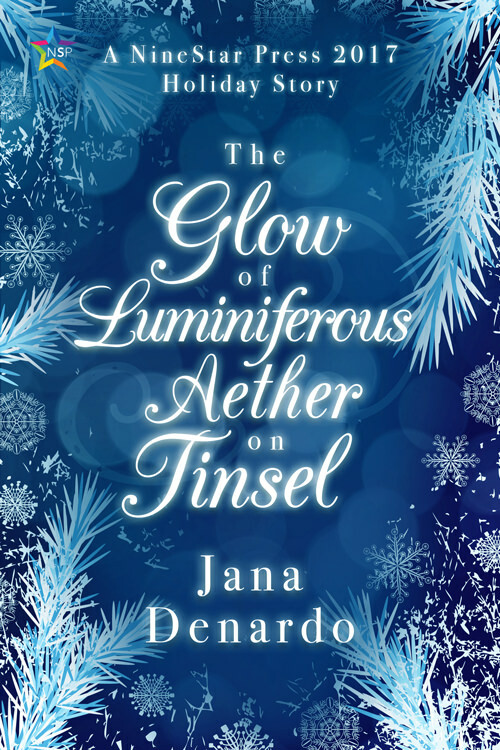 My steampunk holiday short story, The Glow of Luminiferous Aether on Tinsel with Ninestar Press is out today! It’s set here where I live in 1899. I had a blast with this one. Blurb As Chief Tactician for the airship DeGrasse, Jacob Scarberry has spent the last six months on a wearying tour of duty. He’s missing home, and his prosthetic leg is conducting the December cold straight to his core. But with the holidays coming up, he’s looking forward to a well-earned leave, sharing some Christmas surprises with his lover, Dr. H. Alphus Troyer, and welcoming in the dawn of the 20th century. I owe Cheryl an apologize. I’m rather late with this because things went sideways on me. Still, late is better than not at all so come see Cheryl’s latest. Sixteen-year-old Shade has spent years imprisoned in a dark cellar after being snatched off the street as a young child. Events since his release have left him traumatised and desperate to die. When Shade comes to the secure children’s home, Eastbrook; because no one else wants him, the manager appoints Dory as his champion, an appointment Dory takes very seriously indeed. As friendship turns into something else, something new and exciting, they struggle to find their feet, but every step leads to more complication. When a spiteful act separates them, it seems their love is doomed before it ever had a chance, but when Dory falls ill, it’s up to Shade to pick up the standard and become his champion, although it might already be too late. That evening, Dorien had more appetite but still found he couldn’t finish a meal without feeling sick. He’d have to work back up to it. Suddenly, his stomach roiled and he ran for the bathroom. Dorien sat on the floor in the bathroom and rested his hot head against the cool china of the toilet bowl. He’d never felt so ill in all his life. His stomach hurt and his head throbbed. The arms that clutched his stomach were trembling, as was the rest of him, and worst of all, there was a terrible weight in his chest that made it difficult to breathe. Emotional pain eclipsed the pain in his stomach and head tenfold. Closing his eyes, he must have drifted, because he could swear he heard Shade’s voice and felt his arms around him. “Shade,” he whispered, then jolted fully awake at the knock on the door. “Dory, are you okay in there?” Penny’s voice came through the door from a long way away.